Don’t call me Saturday morning because I’ll be watching some of my favourite genealogists talk about social media at the Ontario Genealogical Society conference — for free on YouTube or Google hangout. No registration needed. Facebook, Twitter, LinkedIn, Pinterest, blogs, podcasts and webinars are well known web vehicles revolutionizing human interaction online. Services dedicated to genealogy, which started with mailing lists, complement and are often integrated with the explosion of online databases. Where do social media fit into today’s genealogy and family history landscape? Are you taking advantage? Where are they heading? When: Saturday, May 3, at 8:00 – 9:15 a.m. 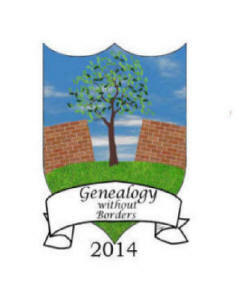 This entry was posted in Conferences and tagged Ontario Genealogical Society, social media. Bookmark the permalink. For sure I will be setting my alarm and coffee maker for this one! Interesting panel choices for this topic.